Today’s post is the third instalment of my series, “Blogging Tips for Photographers.” In my first post I outlined my position on how every photographer can profit from running a blog. In my second article, I shared practical steps on how to setup your photography blog in less than 10 minutes. 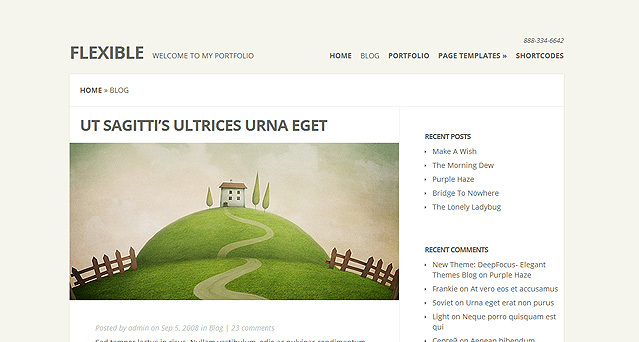 Today’s post discusses WordPress themes. 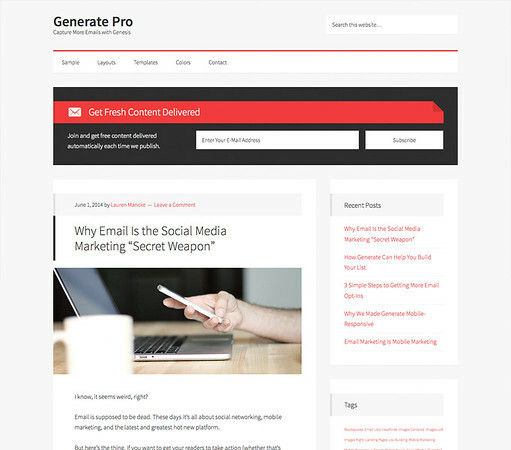 WordPress theme is what makes your blog unique. A theme defines the design of your blog, its layout (the position of the elements on your blog) and its functionality (mobile friendliness etc.). Choosing the right theme is a crucial step in the process of building a successful blog. My experience with WordPress themes started a while ago when I created my first photography blog and picked one of the free themes. I customized the design myself and was a happy blogger for three to four months. However, with the next major update to the WordPress platform, my theme stopped working and I spent a week trying to repair broken code. Since then, I am very careful with whom I trust with my blog. These days I mostly use premium themes. What I realized after working with free and paid themes is that when you buy a premium theme you do not pay for its design or functionality, you pay for support and future updates. After years working with the WordPress platform, I narrowed down my selection of theme providers to two companies: Elegant Themes and StudioPress. If you are just starting with your photography blog, I suggest beginning with Elegant Themes. 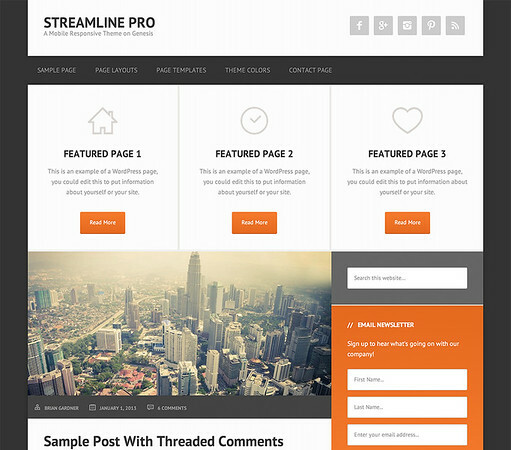 For $69 you have access to 87 themes and you can install them on multiple blogs. Also, when you are just starting and still looking for a visual identity for your personal brand and your blog, you can experiment with different theme designs to see what works the best for you. I use the Explorable theme from Elegant Themes to power the Photo Location Guide Map on my blog. If your blog is growing at fast pace and you know exactly what type of design your brand requires, I suggest considering StudioPress themes. The StudioPress platform is more robust and very customizable. It requires more expertise but, at the same time, there is no limit with what you can do with it (membership sites, online stores, social media etc. ). I use Streamline Pro to power the PhotoTraces.com blog. 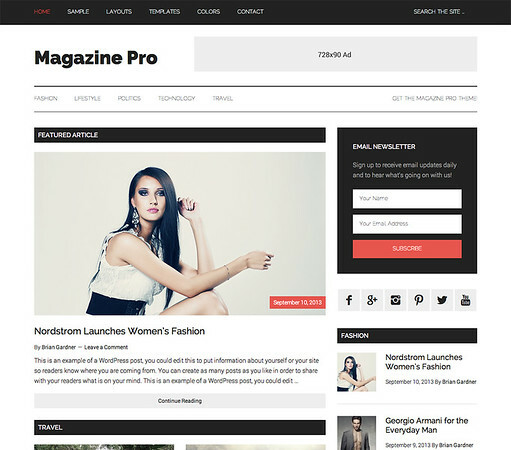 If you decided to start with a free WordPress theme, then the WordPress.org website is your best option. Another very important point when selecting a theme for your blog is to make sure it has responsive design (mobile-friendly) out of the box. According to Google Analytics, 50% of my blog visitors use mobile devices, which is industry standard these days. If your blog is not mobile-friendly, you are risking losing half of your potential visitors. This is HUGE. 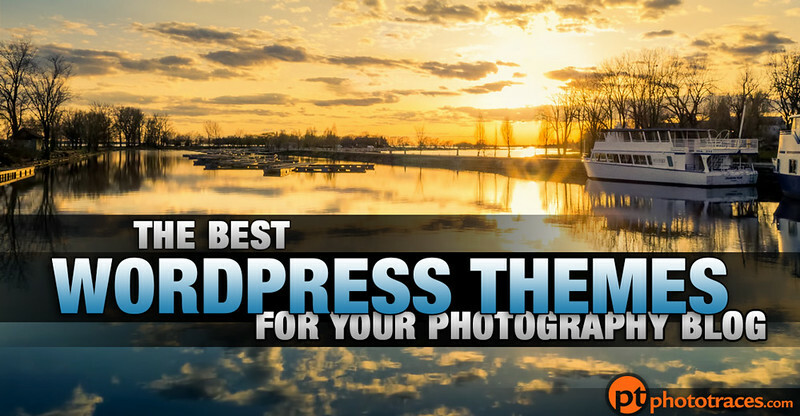 Here is the list WordPress themes that I consider the best options for photography blogs. A unique theme with the Google Map as the main element of design and functionality. 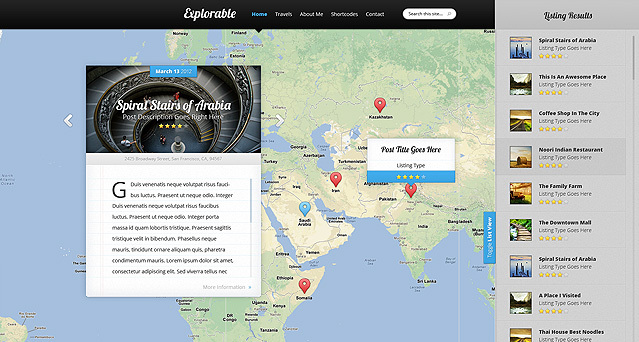 As I mentioned before, I use Explorable theme to map my travel photos. 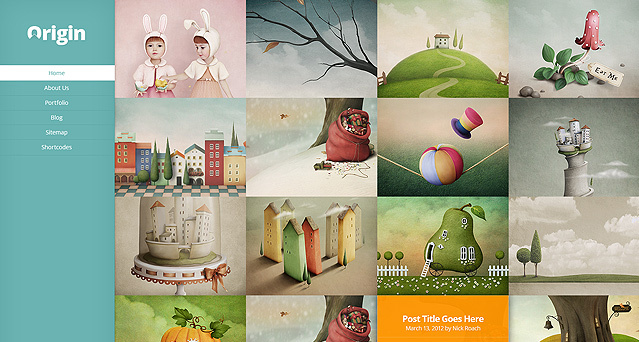 Origin is a grid-based theme that tells a story through imagery. The theme creates a truly engaging experience by saturating the screen with your beautiful photos. It works on a wide range of devices thank to its responsive design. 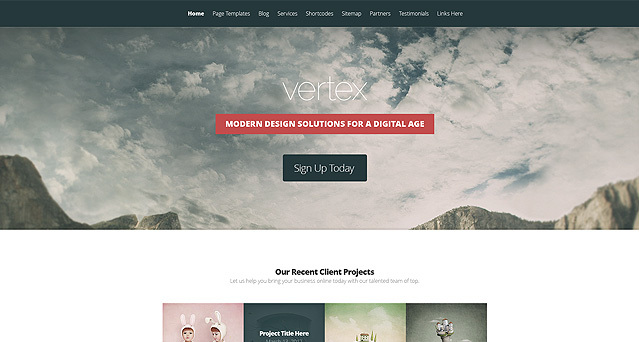 Vertex is beautifully designed, multi-purpose them that could be used as portfolio site and art blog. Flexible is a sleek and minimal portfolio theme packed full of some awesome features. The theme puts your work first, keeping the design elements to a minimum while still maintaining a definitive modern style. This is my favorite theme from the StudioPress collection. It is very neutral and, as result, extremely customizable. Your photography becomes the centerpiece of your blog as your photography defines its appearance. All you have to do is to replace the background image with one of your best photos and the theme design becomes unique. 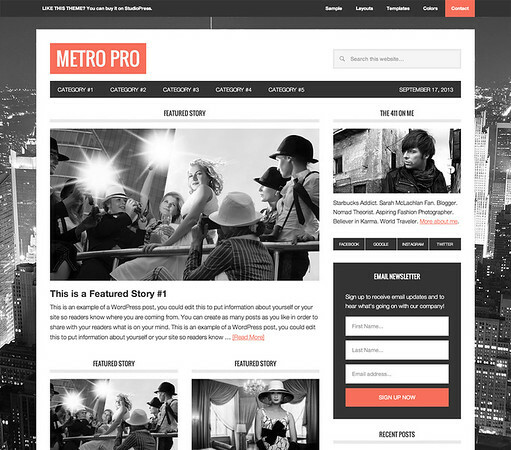 If I was starting my blog today, I would probably choose the Metro Pro theme. This is the theme I am using to power my PhotoTrace.com blog. I did some custom tweaks to tailor it to my needs. The most important change was the increase in layout width, I wanted to sure my photography gets enough exposure. Nika, you are welcome. 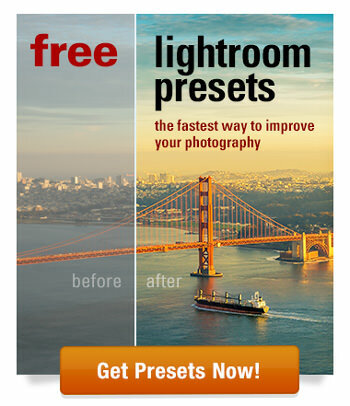 Download my free Lightroom presets, you will appreciate it as the traveler and photographer.